Sometimes being a tourist on my own block is the best practice in mindfulness. It allows me to really check in and notice all the nuances of a path i've walked down a thousand times before. I am always learning something new about this immutable strip of concrete. Today I noticed a tiny little balcony that isn't really useful as a balcony, as most los angeles balconies are. It's cherry red. it talks. It demands to be seen. did you look up today? i love to walk, one foot in front of the other. in los angeles you have to make a point to take a walk. you have to go out and seek it. i'll walk two miles from a free parking space anytime, anywhere. i love walking around our tree-lined neighborhood, mostly day dreaming about the million dollar homes i cannot afford to live in. i love to venture up small los angeles "mountains"(in denver, my home away from home, these are referred to as foothills), usually bustling fryman or runyon canyon. i love to climb a flight of stairs, always seeking this out instead of an escalator. if my legs are moving, that's when i am at my best. the other night, i was flying solo on a walk in the mid-afternoon. a coffee break in the middle of a well deserved day off and i couldn't help but pause, to feel the hot and radiant sun on my face, and acknowledge a true sense of being home. los angeles and i are not the best of friends, we have our blow outs, blow ups, and make up sessions in between. but yesterday, as my small neighborhood was abuzz with food trucks, side-walk shoppers, and a blooming lemon trees. i just couldn't help but be in awe of the life i live here. a sense of true gratitude washed over me like a warm breeze. today, i am happy to be here, on this street, in this apartment, in this city. today feels like home. have you looked around you? deeply, looked and maybe seen something you've never noticed before? i dare you. 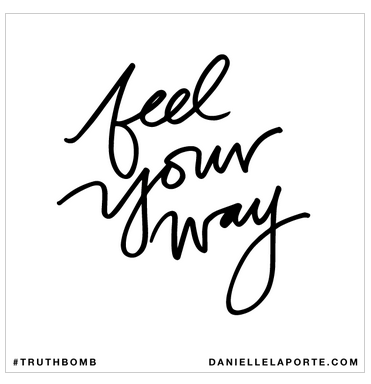 i love when Danielle says, "something is sacred because you say it is sacred". boom. slam. YES please. we have the power. we get to decide how we move through this world. we get to decide who we bring along with us and how we spend our time. i believe in the power of a mala and its mystical 108 beads. i believe in the power harnessed by those who've come before us. i believe in the power of a stone. whatever is holding your sacred energy, worship it. let your desires and dreams embue these objects you hold dear the power to guide you, shape you, whisper to you. As D days, "the universe loves a believer". from where i sit tonight, i can see my bulletin board. i've had this board for the past 11 years. it has followed me across three state lines, been hung in seven homes, and has held onto countless memories. today it has become a bit of a sacred place. today, it's my greeting card holder. my source of inspiration and pure unadulterated joy. it's holding my future. my leap into the unknown. it's holding vendors that i hope to one day collaborate with, learn from, and make my dearest friends. it's holding space for me to add to it. it's holding onto my friends and loved ones that continue to put handwritten notes in the the mail. it's serving as a reminder to follow my heart and quietly whispers to just keep going. it's sitting across from me, telling me that everything is going to work out, that this life is going to be more than i can imagine, and that i am on the right path. that's a lot coming from a wooden board and a few strings of ribbon. what is sitting across from you? these are just some thoughts on being present. i've noticed lately that we miss a lot these days. we are infinitely "connected" to everyone and everything at every moment that we often miss out on what is right in front of us. we vacate the present moment to live through our phones and electronic devices. we spend time cultivating our presence online, but not with the people sitting in the same room, walking across the same street, or going to sleep right next to us in our own bed. welcome to this little segment i am calling, look up. today i paused, looked up, and saw this. this sky. perfect and pillowy, and in a another few minutes had completely shifted into a darker hue as the sun started to fade. it was a perfect moment, on an otherwise ordinary day. take a moment, just one, and look up. look around. look inside. chances are you are missing something you will never regret pausing for. this one has a little bit of my own flair, but was mostly inspired by a one of my favorite bakers, Zoe Nathan, from Huckleberry in Santa Monica, California. her book, named after her beautifully homey restaurant, is seriously the bee's knees. i am obsessed with a little thing we like to call crunchy granola, i've never met a berry that i couldn't befriend, and i eat vanilla yogurt like it's my job. this can bake while you are doing a million tiny other things. the house will smell like you were in the kitchen baking all day long. it takes little effort and has a huge payoff. you know you want this. now. 3. Spread the mixture on a sheet pan and bake until golden, about 25 minutes. Add the nuts and bake 5 minutes longer. Allow to cool. Toss with the dried fruit and add brown sugar, if desired. The granola should be browned, I had to bake an extra 15 minutes to get the perfect crunch. when laying the foundation for a the new month ahead, i went back to the drawing board. back to starting from how I want to feel and let that inform how I show up in my life, work, and relationships. for March, these words jumped out and grabbed me! i want to trust my gut. those feelings that grab onto you and speak in almost silent whispers. I want to make decisions from this place of my deepest truth. i want to pause for radical self-care! i want to be ESSENTIAL. i want to know that I am deeply loved, first by myself, and then by the incredible humans in my life. i want to dive deep into patience. patience to let time do it's magical work. patience to embrace uncertainty and change and ride the waves that I know are on the horizon. i want to be more generous than I thought possible. i want to fill up; begin from within, and then let that generosity overflow to my steadfast family, my loyal and loving partner, and my soul-filling community. i want to notice and receive and then give more, more, more. How do you want to feel this month, this year, in this life???? close your eyes, think about what brings a smile to your face. think about what you want more of, want to offer, want to pour out into the world, into yourself. think about how you want to make a difference. Put those words, thoughts, and feelings down on paper. you've done it. declared your vision. now, take a deep breath and know that YOU are fully supported in this path to these core desired feelings. we are with you, put a little trust in yourself and in the universe. go now, lean in.